This week’s event is a special Halloween challenge. Join the fun and win up to $50 on an Amazon Gift Card! Dress up your Xulu Avatar using our Customize tool. 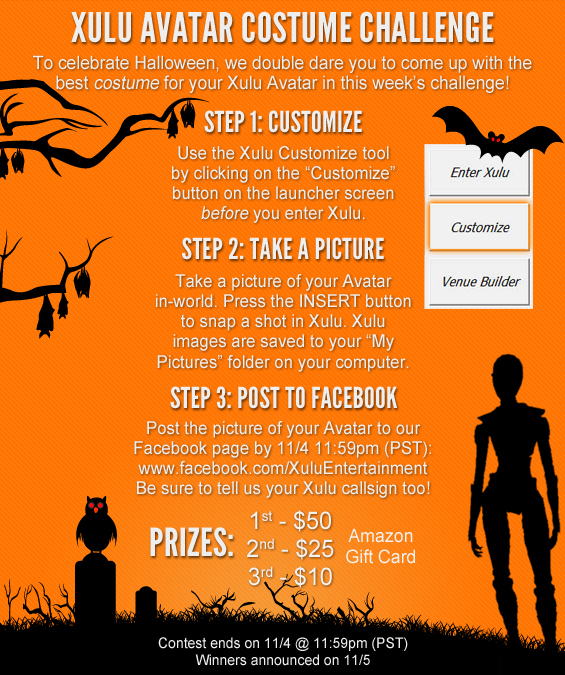 Take a picture of your Xulu Avatar’s “costume” and post it on our Facebook page! We will also be posting ideas, tips and hints for the challenge on our Facebook all week!